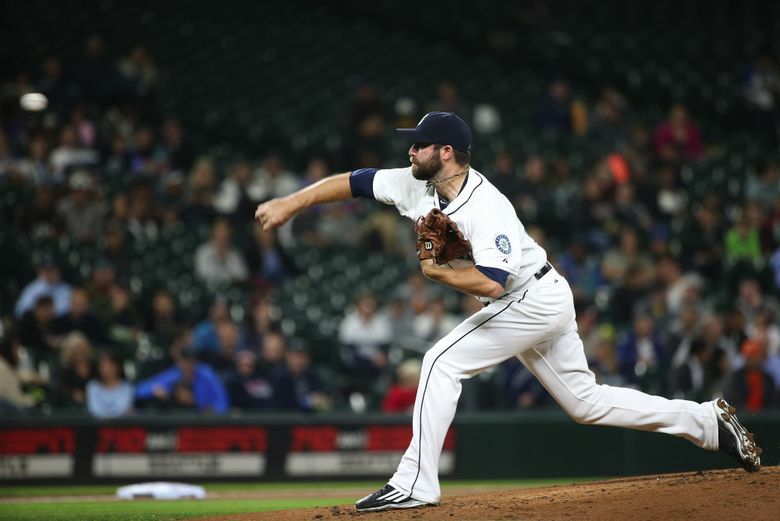 For one dollar, the Mariners got a 25-year-old reliever with a fastball that can touch 99 mph and a slider that will buckle the knees of most right-handed hitters. PEORIA, Ariz. — A dollar won’t buy many things anymore. It won’t get you a soda in most vending machines. With sales tax, it won’t buy you most things in a dollar store. 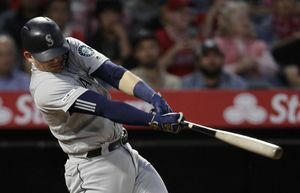 But for the Mariners, a dollar netted them a 25-year-old reliever with a fastball that can touch 99 mph and a slider that will buckle the knees of most right-handed hitters. “I guess you could say we got Tony Zych for a buck,” Mariners assistant general manager Jeff Kingston said. Born: Aug. 7, 1990 in Monee, Ill. Notable: Last name is pronounced “Zick.” … Signed with the Chicago Cubs after being selected in the fourth round of the 2011 draft. … Acquired in a minor-league trade with Chicago for cash considerations on April 2, 2015. … Selected from Class AAA Tacoma on Sept. 1 when major-league rosters expanded. … Was 0-0 with a 2.45 ERA with 24 strikeouts in 13 relief appearances. … When Zych made his Mariners debut, he become the last player of more than 18,000 major-leaguers listed in the baseball encyclopedia, supplanting Edward (Dutch) Zwilling, who broke in with the White Sox in 1910. So how exactly did that happen? Turn back the clock to just over a year ago. Zych, a fourth-round draft pick in 2011 out of the University of Louisville, was just starting his fifth season in the Chicago Cubs organization. But as spring training was ending, the Cubs were ready to move on from Zych instead of sending him to Class AA Tennessee for a third consecutive season. His early success in the minor leagues had faded, and he was just another struggling reliever with command issues. Because they weren’t going to keep Zych, Chicago tried to trade him and get something in return. “Our scouts liked his arm strength,” Kingston said. Chicago wanted one of the Mariners’ lower-level middle-infield prospects, but they balked. So the trade was made for a player to be named or cash considerations in the amount of $1. No player was sent to the Cubs, and the Mariners had added a hard-throwing reliever for organizational depth. These transactions aren’t uncommon in baseball. But the players involved usually don’t do what Zych did in 2015. He went from being discarded to pitching in the big leagues. 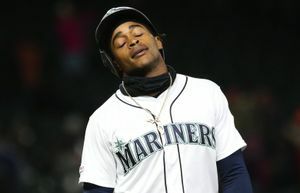 It began with Class AA Jackson (15 appearances, 2.16 ERA with 18 strikeouts in 162/3 innings), then to Class AAA Tacoma (25 appearances, 3.41 ERA with 37 strikeouts in 312/3 innings) and culminated with his first big-league appearance Sept. 4 against the A’s in Oakland. He struck out the first batter he faced, Marcus Semien. Every pitcher has the confidence-building moment when he realizes his stuff will play at the big-league level. Zych needed just one batter. Zych made 13 appearances in September, posting a 2.45 ERA and striking out 24 in 181/3 innings. His most memorable outing came Sept. 15 at Safeco Field against the Angels. Then-manager Lloyd McClendon brought him in to replace Felix Hernandez to start the eighth inning with the Mariners trailing 4-3. The three batters coming up: Mike Trout, Albert Pujols and C.J. Cron. He got Trout to fly out and coaxed a pair of weak comebackers to the mound from Pujols and Cron for a 1-2-3 inning. “You are thinking, ‘OK, this is real,’ ” Zych said. How did he go from unwanted to dominating in one season? It’s advice new Mariners manager Scott Servais delivered to his pitchers in their early meetings. It’s a message Zych could have used last season. Instead, he had to figure it out on his own after some reflection. Mariners minor-league coaches helped him refine his slider to be a more consistent pitch. Add that to his power fastball with its sinking action, and he had weapons. But is he better than the slog of relievers filling the east end of the Peoria Sports Complex clubhouse? Zych is vying for one of the middle-relief spots. The Mariners believe he can. Zych was one of the most-inquired-about players in the offseason by other teams. The Mariners wanted to keep him. A dollar might not be as valuable as it used to be. But it paid for Tony Zych to come to the Mariners, and he pitched himself to the big leagues.